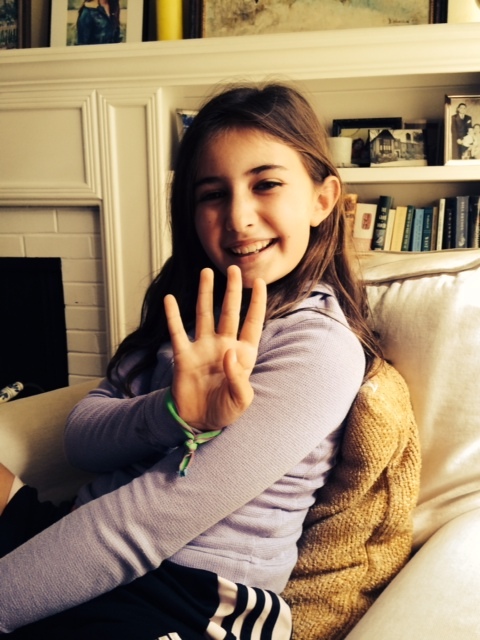 FOUR MORE DAYS TO HELP THE KIDS AT ST. JUDE! Plus, How to be Thankful for a Little Stomach Bug. Two days ago, I woke up with a really bad stomachache and headache. I ended up throwing up for about three hours. Throwing up stinks. Everybody knows that. And I had to miss my first soccer practice ever. But after a few hours, I felt so much better, and the next day I was perfectly fine. The kids at St. Jude sometimes throw up a lot, because their chemo makes them sick. It lasts a long time. Much more than just three hours. And they miss more than one soccer practice. I hope you will think about the kids at St. Jude during these last four days of Childhood Cancer Awareness Month and DONATE TO ST. JUDE here and now. 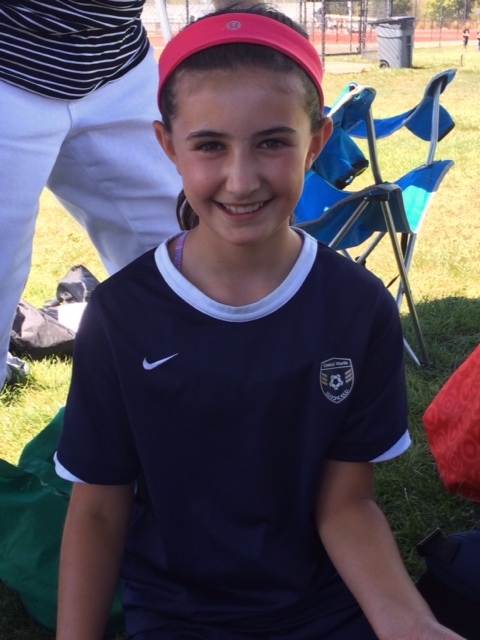 I’m going to get out and juggle on video tomorrow, since I don’t have a soccer game, and I’ll be hoping for every last penny I can raise to help the kids at St. Jude. Thank you so much for your donation and your support! It’s my Birthday Today! 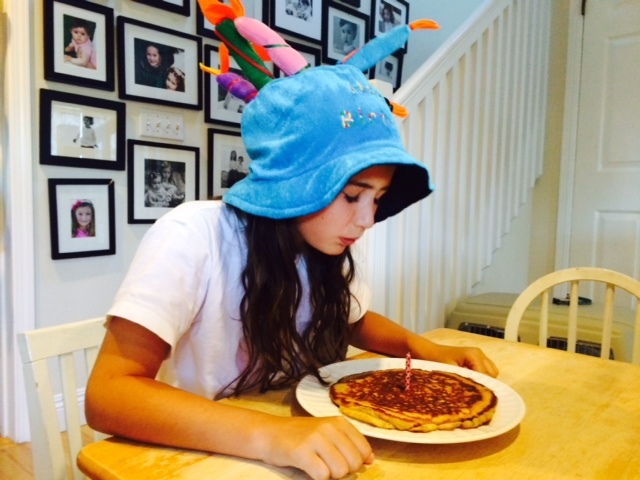 I’m 10! A Donation to St. Jude Would Make a Great Gift! Plus, Learning about Hoping and Wishing. My mom and I were looking at the St. Jude website yesterday. 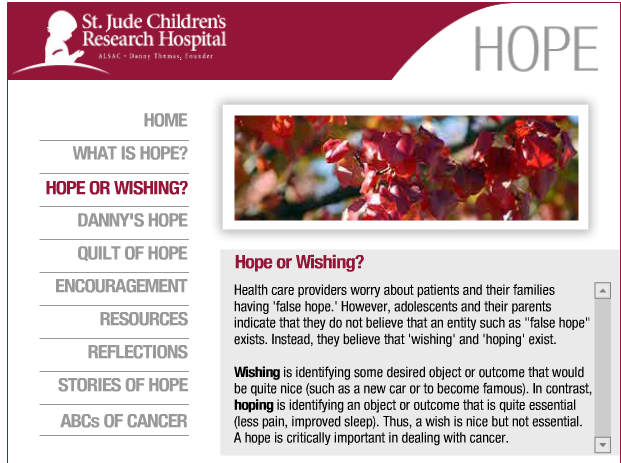 We found out how important hope is for kids with cancer and their families. Since I’m going to be blowing out candles and making birthday wishes today, my mom thought it would be good for me to read something on the St. Jude website that talks about the difference between wishing and hoping. I’m lucky that I can make birthday wishes. For the kids at St. Jude, hoping is more important. And donations can help bring hope to more kids with cancer and their families. My hope is that in the future the kids there can make more wishes! Thank you for your support as we continue Juggling for Jude till the end of Childhood Cancer Awareness Month (September)! THANK GOODNESS FOR SISTERS! Plus, We are Still Collecting Donations for St. Jude Hospital. They take Care of Sisters There, Too! This is my favorite picture of the summer. 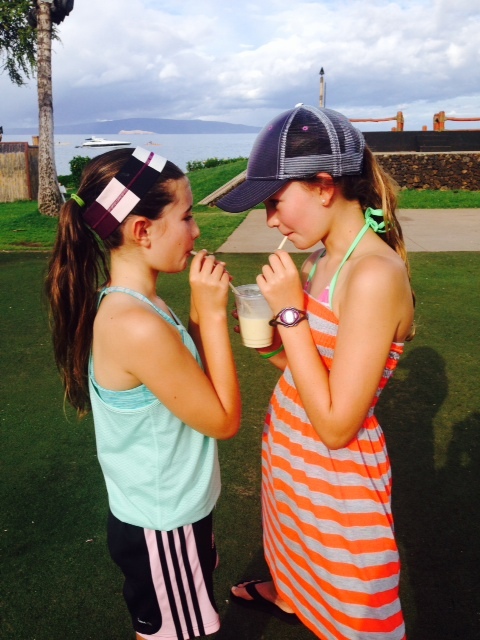 That’s me and my sister, Lyle, sharing a smoothie in Hawaii after I had juggled one very hot morning. 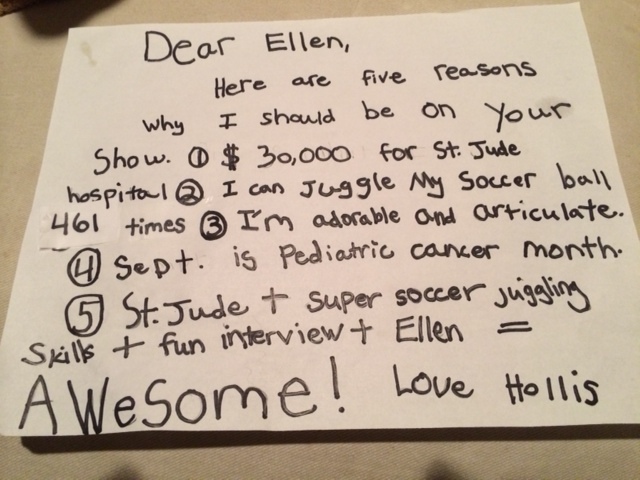 Today’s post is all about Lyle’s support of Juggling for Jude. Lyle has been so supportive ALL SUMMER LONG. She has had to put up with all of the talk in our family about Juggling for Jude and has been with me while I juggled almost every single time. She has counted for me, carried water bottles, and held our dog, Pete, so he didn’t get in my way. 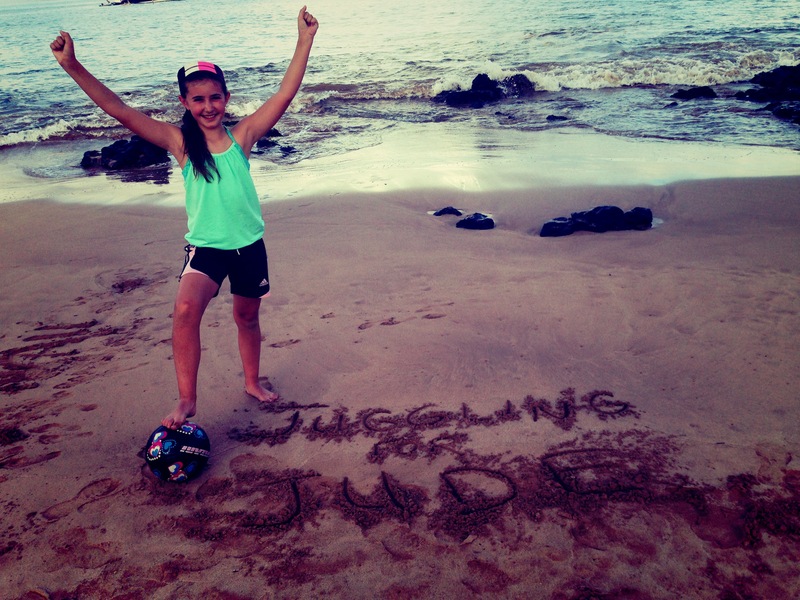 You can’t do something as big as Juggling for Jude without your sister’s support, so THANK YOU, LYLE! When a child gets cancer, it becomes something the whole family deals with. At St. Jude Hospital, there are specialists there who help siblings of the kids with cancer get through their feelings. They also put on all sorts of events for siblings. You can find out all about some of those fun events here. St. Jude also pays for a parent to stay near the hospital when families come from far away. I’m sure the kids at St. Jude would need their families to be there as much as possible, so this is another amazing thing that your donation can help support. WE HAVE RAISED MORE THAN $30,000 for ST. JUDE CHILDREN’S HOSPITAL! Plus Some Other Great Stuff! Did you know that September is Childhood Cancer Awareness Month? It is extra important this month to think about kids who are fighting cancer, at St. Jude and at other places. Some day I hope that I can go to St. Jude to learn more about what they do there in person. I think that would be an amazing experience. It might be sad but it would also be really hopeful. My mom says we will make that trip happen soon. I really can’t wait! Thank you so much for your support. Please keep spreading the word and DONATE HERE! We are collecting donations through September! And by the way, if you haven’t heard, I want to be able to tell my story on The Ellen Show, so please share this video and tag theellenshow on Facebook and Twitter. I don’t really know what that means, but my mom told me to write that.